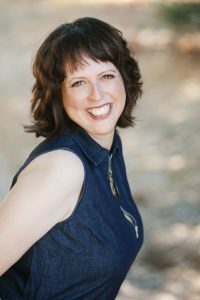 Inspiring Modern-Day Muse and Spiritual Coach, Desiree Aragon recognizes the importance of the Muse in all creative endeavors, citing famous Muses and those they inspired while acknowledging the role of muse in contemporary times..
Sacramento, California – June 18, 2018 – Desiree Aragon, Modern Day Muse and co-author of the best-selling book, Ready, Set, Go!, recently posted a new article on her website entitled, “As The Muse Muses.” Ms. Aragon recognizes the ever-evolving importance of the muse throughout history and in contemporary society. Desi Aragon is the co-author of the best-selling book, Ready, Set, Go!, with Brian Tracy, and serves as a Modern Day Muse, based out of beautiful Northern California. She helps inspirational people tap into their greatness and see things in a remarkably positive light. Desi is passionate about making our lives more joyful. She has an uncanny ability to pick up on subtle nuances, which allow her to quickly show inspirational people fast changes they can make to manifest bliss in their lives. It has always been easy for Desiree to lift up others so they can fully see and maximize their potential. In individual, group and large event settings, Desi has been a featured speaker at retreats and workshops for audiences in Asia, Canada, Costa Rica, and throughout the United States. Given the public nature of the work completed by inspirational people, Desiree knows they are expected to be “on” all the time. Artists, authors, and visionary business executives are always being watched. And, they are frequently faced with the challenge of living authentically while sustaining their powerful influence. As a modern day muse, Desiree partners with these inspired people to process complex situations and newly emerging opportunities. People are attracted to Desi’s strong ability to synthesize qualitative ideas while easily connecting with their ultimate intention. And, Desiree is attracted to inspirational people who desire to use their innate gifts to have a positive impact on our world. These factors make it Desi’s personal mission to provide inspirational people with uplifting dialogue so they can think and grow out of the ordinary and into the extraordinary.